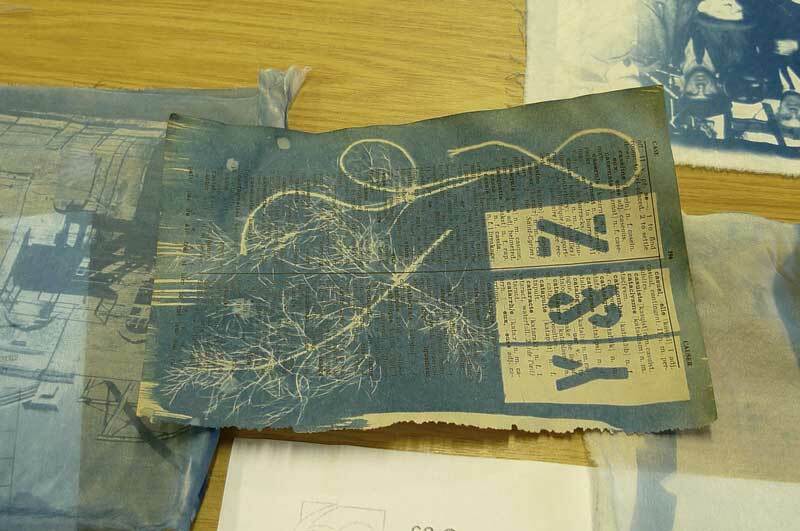 The workshop introduced the process of cyanotype blueprinting to make original art prints on paper and textiles. 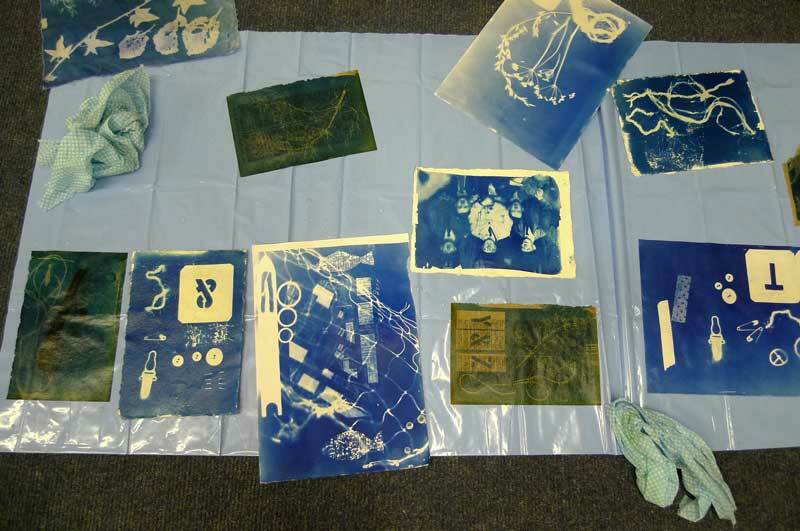 Participants learned the full process of making cyanotypes from safely mixing chemicals through to creating sample prints. 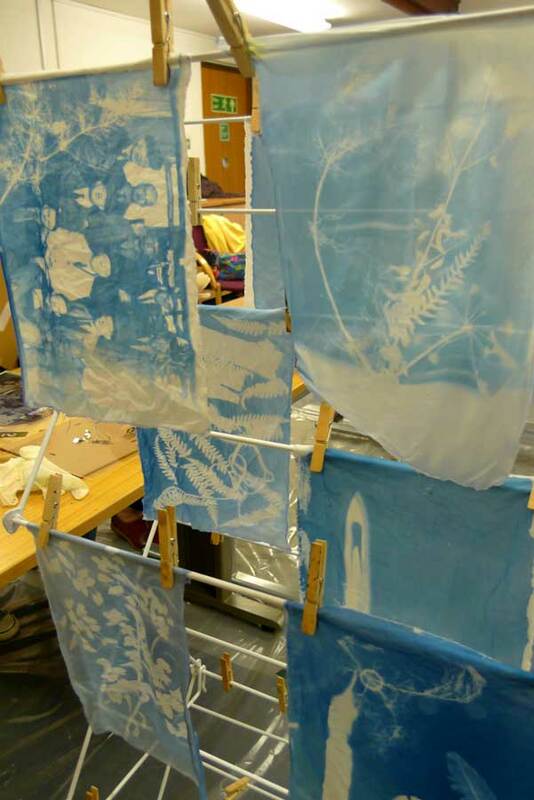 Participants created striking sample prints on paper, silk and cotton with personal and found objects. 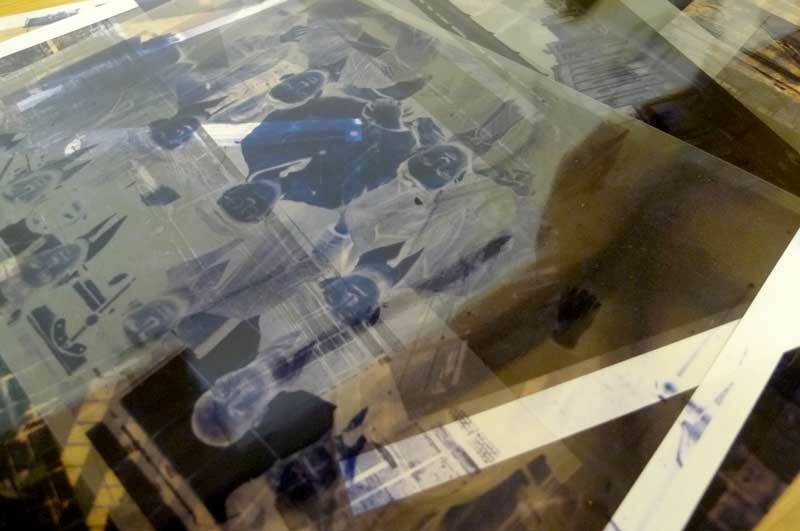 Participants each took away with them a collection of small prints and the understanding of how to continue and develop these collections for future projects or as finished art prints. There was also the opportunity to take a closer look at the 62 Groups’ Handling Collection during this workshop. Hannah Lamb is an artist, maker and lecturer based in West Yorkshire. 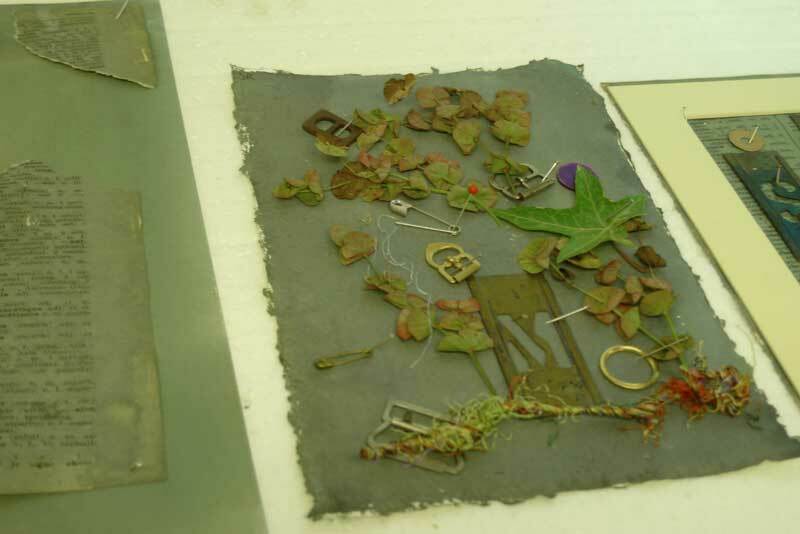 She has a studio in Saltaire where she works part-time and teaches small workshops. 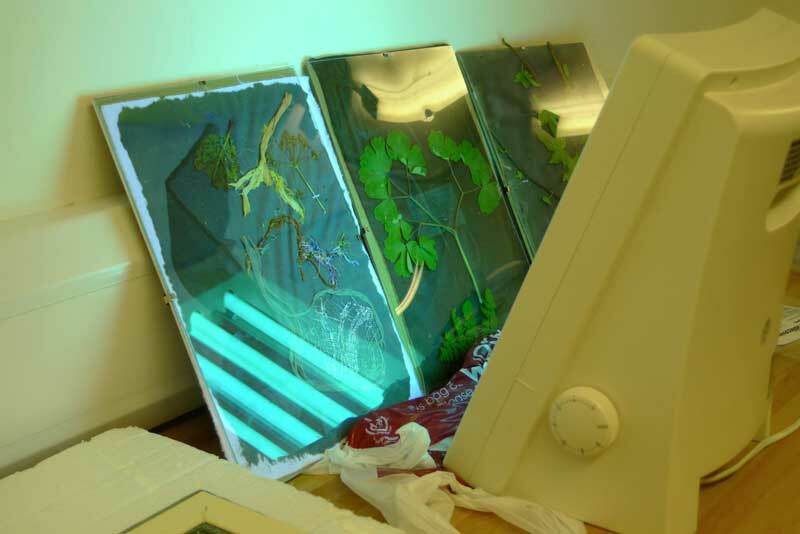 Her creative practice encompasses textiles, photography and installation. 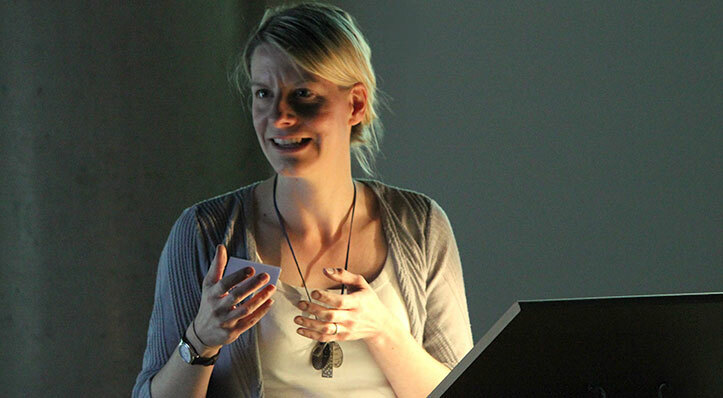 Sources of inspiration include walking, nature and landscape, and she is keen to explore personal and community responses to local environments. 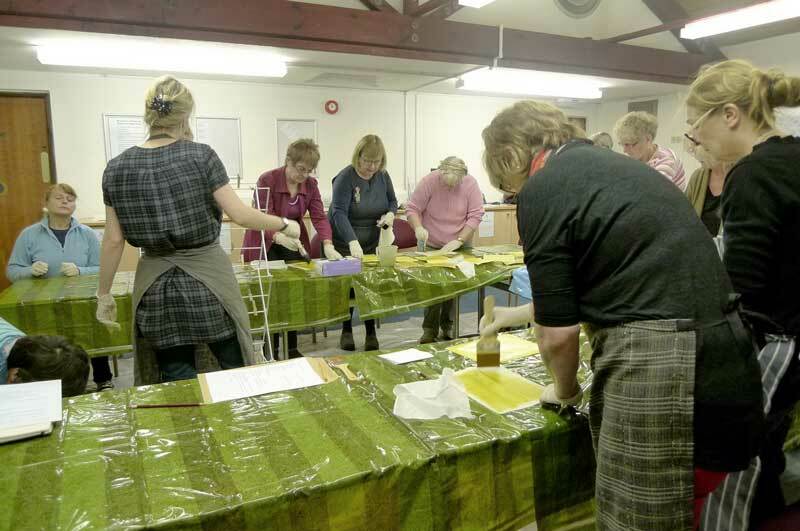 Hannah has been an Exhibiting Member of the 62 Group of Textile Artists since 2013. 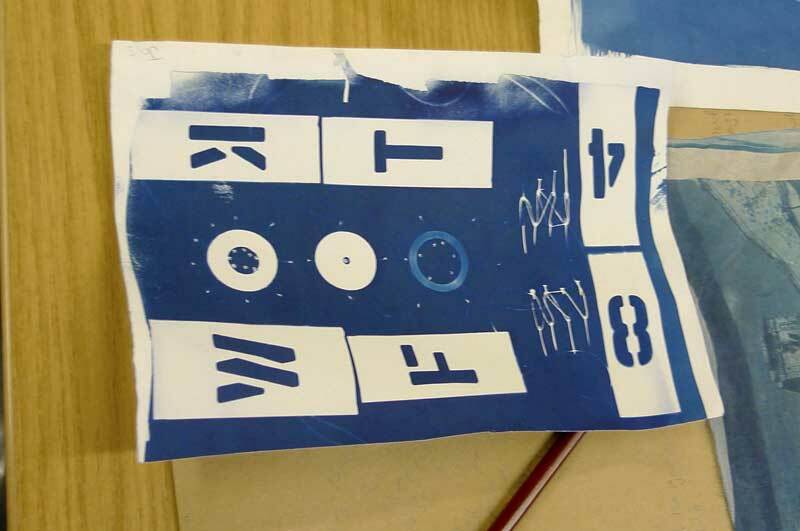 Had a fantastic day, learning how to work with cyanotype, something I’ve been interested in for ages. It was great. 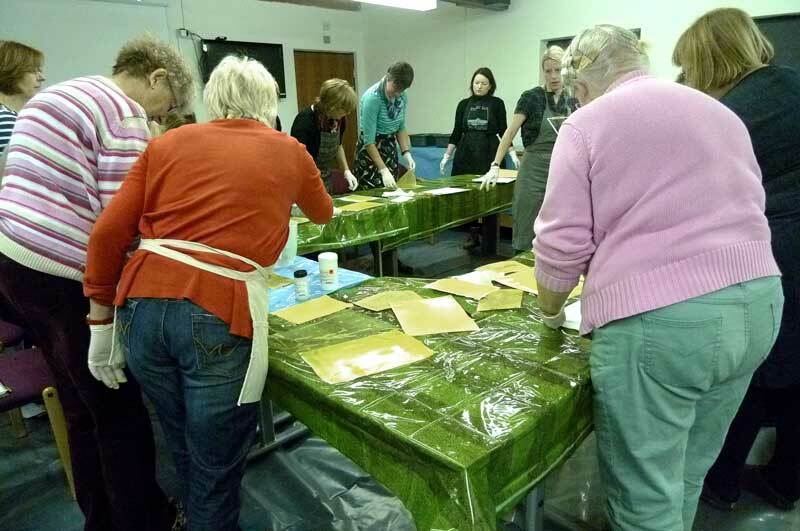 The workshop was extremely well organised, expertly explained and demonstrated. Pace exactly right. I have been inspired to use the techniques with my felt art. 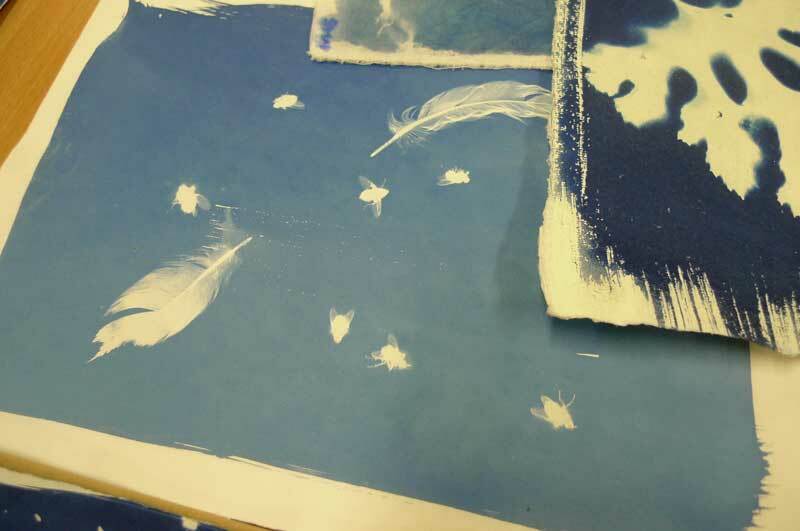 I am going to try nuno felting the silk cyanotype samples.